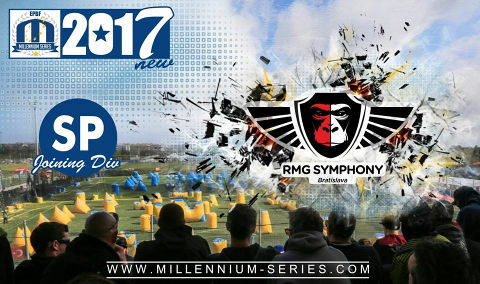 RMG Symphony Bratislava steps up to SPL for the 2017 Millennium Series! Good luck! Assala Libreville to compete in Division 1 in 2017, again! "Following a successful first season in Division 1 last year, Assala are ready to up their game and continue to develop their strong roster for another year. This year will see Assala compete in Division 1 and Division 2 at the Millennium Series fielding 2 teams to compete at all four Millennium Events as well as the French league for 2017. Despite the opportunity of promotion to SPL on the back of a positive 2016 season, the team has decided to further the development of the roster to see some more success for the 2017 season at Division 1 level led by our captain Fred Bacle and our coach Thierry Parent. A sister team will also compete for 2017 under Assala Legend in Division 2 to further expand the Assala presence at Millennium. This will be our 20th year competing at Millennium and we continue to choose the league that is best going to develop the team as well as deliver the best service and level of game. We are also delighted to continue our relationship with Planet Eclipse with the custom Assala CS1 at the forefront of the team as well as our continued sponsorships with GI Sportz Eclipse, Drom and Virtue amongst our external partners including Sobraga. Assala look forward to the season ahead and as usual welcome all to come watch us on field to support us but also join in the usual festivities off the field. 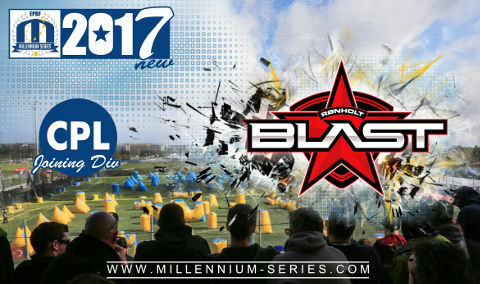 For more information follow us on Facebook at Assala Paintball. See you on the field." Another new team joins the Millennium for 2017 season, SPL this time! Helsinki Cyclone, best of luck guys! 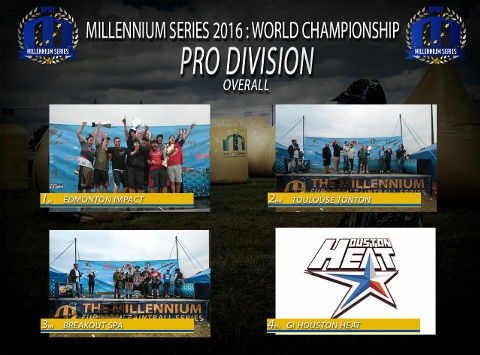 A team from Australia joins the Millennium for 2017 season! "We're really excited to play in one of the world's premier leagues in 2017. Coming from Perth, Australia, we've had a successful run in the Asia-Pacific region over the last 10 years. 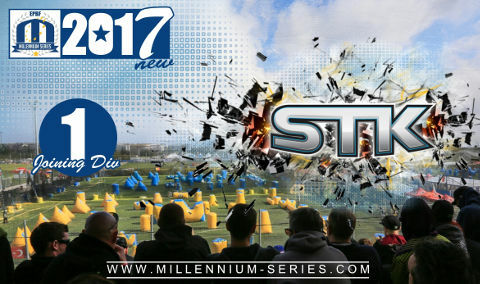 We're looking forward to making new friends, seeing how we stack up on the other side of the world and exploring Europe at the Millennium in 2017 to mark the 10th anniversary of STK". After much constructive feed back and discussion from many CPL teams and other interested parties the Millennium has decide to not introduce the Challenger system for the 2017 season. We will be however continuing with the expansion of the CPL to 20 teams in groups of 5 teams giving 33% increase in matches for all . This goes a long way to improve the player experience , spectator and media interest providing all with more opportunity and more challenging and less predictable results. This move will ensure that the CPL is the premier league to play in Europe if not the world. The Millennium thanks all those that have contributed constructively to the discussion. 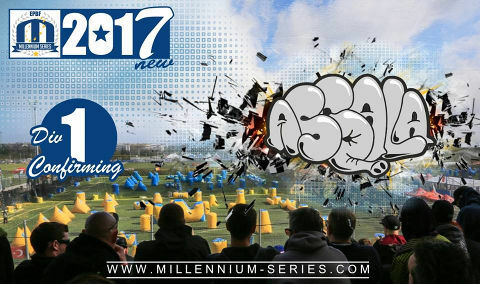 MILLENNIUM CPL 2017 - A NEW ERA OF WORLD CLASS COMPETITIVE PAINTBALL BEGINS! In 2017 we present a new “Ultra-Competitive” system in Champions Paintball League! We have taken this step in order to put a system in place for fresh teams to move into an even stronger Champions League. During Mediterranean Cup in 2017, 20 Millennium Professional teams will compete against each other. Why the change? By increasing to 20 teams they will play in divisions of 5, so all the teams will play 4 matches instead of 3 in Qualifying rounds, introducing more competition and more variety of teams played. 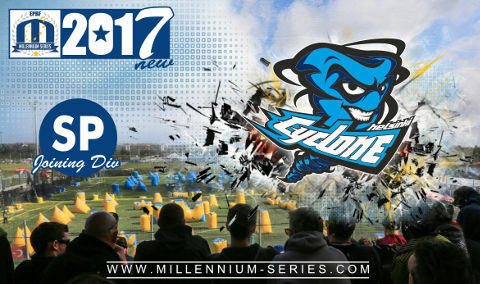 The top 10 teams from that event will move on to Millennium Event #2 and play in CPL. The other 10 teams from Mediterranean Cup will compete in the newly established division - CPL Challenger, with the same format and rules. Based on the results of event #2, the relegation/promotion system will be applied. The bottom 2 teams of CPL will play a game against the top 2 teams of CPL Challenger in order to decide if a team gets promoted or relegated (Play Off). This system of constant circulation will continue event by event for seasons to come. It is now more important than ever for teams to give their all in each match – as they no longer have just one goal of winning the event – but must perform at their top in every game to make sure they do not suffer the consequence of being knocked out of the CPL. Likewise, the CPL Challenger teams at each event have the option to perform and move up for the following event. Thanks to all who responded to our poll, it was great to receive such good and usefull feed back and help us make the right decision on next season for all. 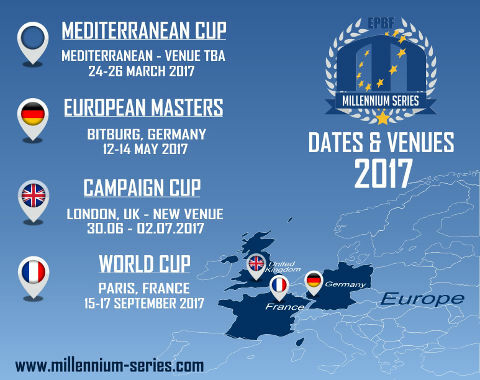 For 2017, the Millennium will stay at 4 events. It was clear to us that although a majority of teams would like 5 events in an ideal world, the overwhelming consensus was that it needed at least one more season before returning to a 5 event series in the current economic climate. In order to help everyone plan we are pleased to announce our dates today, please see below. Exact details on venues will be announced over the next few weeks, we can also announce there will be a new and exciting venue for the UK. We have plenty of new and exciting news coming, so watch this space. Once again we thank all for your support and input to help make the Millennium the only place to be in 2017! Thank you all teams out of 29 countries for the amazing season!